Onin No Ran / Re: Well opinions are like assholes, everybody has one. Here's some more of the same stuff. Because of the poor average quality of iron sand based steel and the inferior craftmanship of Japanese weaponsmiths in the 13th century, such a katana would shatter easily when thrusted with full force towards superior European metal armour. We have no weapon breaking system so we simply assume that the unfortunate wretch that has to fight with a katana knows that and thus stabs very carefully with light to moderate force. Thats why the thrust base damage is that low. Would appreciate an opinion on this from here, as I know you guys are really knowledgeable about these things. Onin No Ran / Well opinions are like assholes, everybody has one. I've been playing C-rpg mod a lot recently. And I've noticed a very strong Anti-Far East mentality, especially towards Japanese gear. The katana is a niche weapon and in reality would have been superseded by the long sword overnight if the quality of steel was available. The katana has a very low str requirement and very high speed in these respects it is a very good weapon. The long sword has reach and a decent stab it is fair as katana stabs would have bounced of even the poorest metal armour and could have even shattered on impact with plate or if caught in the armour and bent. The topic was in regards to the Katana in C-rpg mod having ridiculously low pierce damage on it's thrust. To give you a better idea. I think what this guy has posted sounds like a lot of shite personally, especially the whole "shattered on impact" and "bent" part. He also implies that the Longsword would be able to pierce Plate, whereas the Katana would not, when in actual fact, I would say neither would pierce Plate, as swords are pretty ineffective against armor. But I'm no expert, so I'm wondering what people's opinion of his post, here are. And also on the stats of the Katana/Nodachi thrust in comparison to the other weapons. I personally think 20 Pierce would be about right, but would probably have to compromise to 19 Pierce with these Xenophobes, for the Katana thrust. Thanks for another detailed explanation, also looked up Kusari-zukin and found some really interesting pictures. Thanks. When you say "Normal plate nimai-do" Do you mean it is constructed of one solid plate? As opposed to lames of Plates tied together? So as you said the overlapping of the scales/lames would provide more protection. And the Kikko-do, what was the advantage/reason to constructing it with Hexagonal plates? What would be the advantages/disadvantages of Hexagonal plates over rectangular plates? Also Kusari katabira, were they worn as armor in their own right? Or were they an undercoat to the Lamellar armor, to cover up gaps etc? Regarding the first thread, I would like to mention that the red armor is better then the black (gray) one, what makes those armors a complete failure is how the yodare kake (throat guard) is fixed to the chest rather then the mask, it makes the whole thing look silly, it's an unforgivable mistake. Then there is the classic mistake of the arms and legs that are armored on the backside even though they shouldn't be, the feet look almost like European sabatons rather then Japanese kogake. Some of the mistakes can obviously be fixed by retexturing them, but some things are model problems and take more work to fix. one thing that also really bothered me about Shogun 2 are the castle walls, they have this ultra long horizontal window or gap in them... seriously!? Why? Just because they screwed up with AI path finding and had to make it so that walls were easy to pass... just silly, and unforgivable. Really? That's ridiculous, and lazy to boot. Hey, if you want, I can answer some of the questions you asked in other (older) threads, not that Ron did a bad job at it, but it can't hurt to get a collectors opinion. Yeah definitely, that would be great. This reply is a bit late, but better late then never... right? Nice picture by the way. Just watched Ran recently, Brilliant film. Yeah I'm no expert, but to my untrained eye the armor on the body didn't look to bad, but it was the Kabuto that looked the worst to me. It just looked like that cliche western depiction of a Kabuto, very conservative by Japanese standards. Personally, I would avoid it, but I know too much about antique Japanese armor for my good, I once counted the number of mistakes on the armors from Shogun2 Total War and stopped counting at 25... and yes I did see even more mistakes I just stopped counting them, as a result I decided not to play that game, well not just because of the armor, but the utter lack of historical accuracy in general. The less you know about it, the more you will enjoy it. Yeah, I thought the armor in the second thread looked better as well, only thing is it's a little on the shiny side, but I think that's a modelling/Texturing error, if anything. If I am to rate the armors from both threads then the first would be a 4 out of 10 (a 5 if I am kind), the second would be a 8 out of 10 (I am being kind here, a 7 would be more appropriate, but in spite of the mistakes I think it just looks really good anyway). Mind you, that "historical accuracy" also depends on the time period. Yeah but I think there are some armor out there, that are so inaccurate, they don't fit in any period. Probably the majority of Japanese armor in Mount and Blade mods. Thanks, for the very detailed explanation. 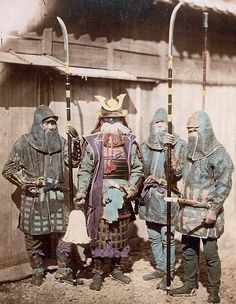 One other thing, what armor was predominantly worn around 1700 to 18XX? 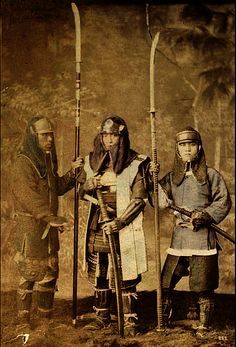 http://en.wikipedia.org/wiki/Japanese_armour The coined phrase they put next to "Tosei Gusoku" is "Modern armor"